As mentioned in previous entries, the Hartnell era isn't especially popular with fandom as a whole; although it was very popular with viewers at the time, that proportion of the fanbase now makes up a small percentage of those who would vote in polls. The DWM survey for the 50th anniversary saw no less than fourteen Hartnell stories in the bottom 50 of old series tales, with another just outside. While this understandably included entries like Space Museum and Galaxy 4, there are many badly-received Hartnell stories that lead to head scratching here at The Anorak Zone. Quite why entries like Planet of Giants (134th in just old series stories), The Savages (123rd) and The Smugglers (120th) rate so low is hard to say. The Edge of Destruction, the DWM poll's 114th most popular story, is another such instance. More experimental theatre than television, this abstract and frankly bizarre tale features deliberately mannered acting, and - shockingly so in a series aimed at 8-12 year olds - Susan violently stabbing a seat with some scissors. This last element was regarded in hindsight as a "mistake" by Verity Lambert, though it's a striking moment. Plus, there's the pivotal moment in the relationship between the Doctor and Barbara where she takes him to task for his mistreatment of the two schoolteachers... after this Hartnell's scientific explorer gets a moral compass to go with his curiosity. 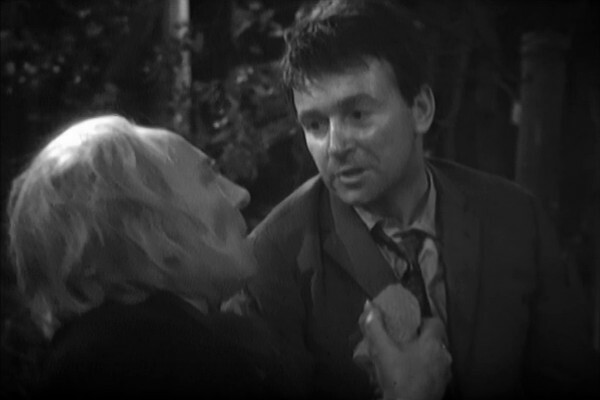 Hartnell isn't always on top of his lines in this one, and William Russell seems to struggle with the more left-field acting choices required of him, but overall this unusual tale - a story where the crew try to kill each other over a broken spring - is one that is deeply rewarding. Not bad for something created quickly to fill a gap in the shooting schedule. Of the existing Hartnell serials, some of them have DVD commentary tracks on just selected episodes, but only three of them were released without any commentary at all: the existing episodes of The Celestial Toymaker and Galaxy 4 and the whole of The Edge of Destruction. It's something of a shame, as Russell and Ford touch on the story in the commentary to The Dalek Invasion of Earth, and are animated in their praise for it, and how unusual it was. 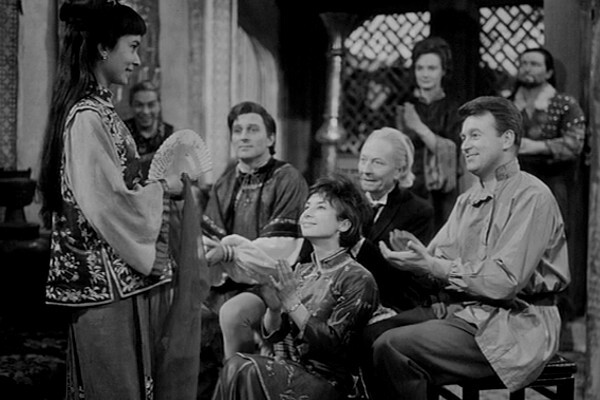 Marco Polo is an engrossing story that takes place over several weeks of travel, with the TARDIS held hostage from the Doctor and his companions. Not only is their plight a fine backstory to historical events, but the use of such an extended timescale makes it one of the more unique Doctor Who stories. There is perhaps the sense that the fine scripts by John Lucarotti sometimes extend a little too much towards "child educational", with the two teachers imparting lots of historical knowledge throughout. Though as this knowledge includes Ian explaining the word assassin comes from weed, it's a series that doesn't lower itself to its core viewership. The casting would also probably draw notice to modern audiences. While there's nothing as bad as the prosthetics in the 1970s story The Talons of Weng-Chiang, we have a young Chinese girl played by a half-Burmese actress, and Derren Nesbitt as a Mongol warlord. The completely missing Marco Polo has long since been one of the stories most rumoured to have been found, with internet gossip suggesting its existence would have been announced in 2013 along with the recovery of The Enemy of the World and most of The Web of Fear. Although that ultimately didn't happen, it lends hope that this story might one day be able to be seen again. 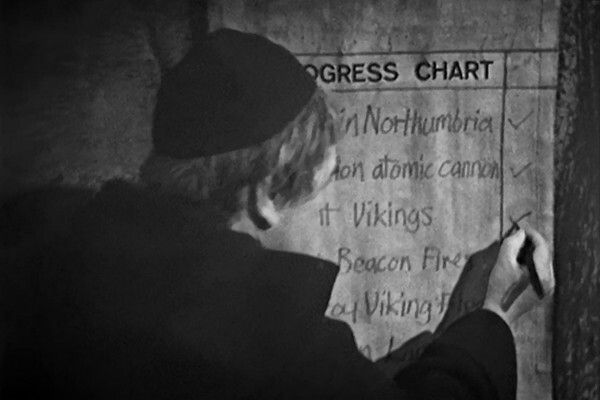 John Lucarotti's third script for the Hartnell era (after Marco Polo and The Aztecs) may well be his best. Ironically, much of the power it contains may be due to Donald Tosh, who is credited with co-writing the final episode. Tosh and Lucarotti had many clashes over the serial's direction, and one thing that can't be denied is that events can seem contrived. However, this is actually a masterstroke, with the writer's hand deliberately employed. Steven leaves the Doctor in the final moments, only to come back when a descendant of one of the massacre victims (Dodo, played by Jackie Lane) enters the TARDIS. Perhaps it's giving the story too much credit to make the connection between this Deus ex machina ending (God from the machine), with the writer's voice the God Perspective. And Dodo's arrival does strain credulity, but it takes the edge off a very powerful ending where Steven has a heated argument over the Doctor's lack of morality, and the Doctor is left alone, distraught. The rest of the story is a brutal and offbeat tale, with Steven the main character and the Doctor absent for the middle two episodes (Hartnell had a holiday during episode two) and appearing only as his double, "the Abbott". No material exists apart from scant photographs and the soundtrack, giving this missing story an even more immersive feel. The serial was directed by Paddy Russell, marking the first time a female director had worked on the series. In total, 12 of the 155 original series stories were directed by women, including a further three by Paddy. The reconstruction video by the Loose Cannon team contains the bonus of an interview with Tosh, where he talks about events behind the scenes, including how this story and an unmade Lucarotti script about Erik the Red were both regarded as being not good enough, but one of them had to be made due to contractual reasons. Tosh explains that, if the episodes were in existence, people would be able to see that it went out without a writer's credit, as Lucarotti had insisted his name be removed, and, at the BBC's insistence, Tosh's own name was placed on the fourth episode. Tosh also discusses other aspects of the programme while he was involved in making it, including possibly apocryphal stories such as Hartnell looking to leave as he was getting "bored", and Terry Nation only writing 24 pages of the first six episodes of The Daleks' Master Plan. Tosh also insists that the Doctor breaking the fourth wall in the same story to wish viewers a Merry Christmas ("As though he was the Queen") was an ad-lib in an episode which went out live. This would appear to be a false memory on Tosh's part, as evidence suggests that the line was on camera scripts and there's no evidence the episode went out live, but Tosh describes it as "a moment of utter, utter horror". Finally, in terms of trivia, then Doctor Who's first 118 episodes had individual titles (as opposed to "Part One", "Episode Two", etc.) and the quality of the titles not only, naturally, varies, but is also subjective. Notable titles include The Dead Planet, A Bargain of Necessity and Coronas of the Sun. However, for all its brilliance, The Massacre fares less well in this area, with the Pythonesque "Priest of Death" and the somewhat inane "Bell of Doom". An Unearthly Child, the very first story, is a very strong three-parter set in prehistoric times. The idea of BBC actors dressed up in skins speaking perfect English may seem difficult to digest, as does the "outdoor noise" track that sounds like a relentless Spaniel whimpering, or the regular squeaks of polystyrene rocks. But what makes this such a strong story is the interaction between the regulars during their first experience together. One pivotal moment, often disliked by fans with retrospective knowledge of the lead character, is where the Doctor makes the decision to kill a caveman for reasons of self-preservation. It's strange that this striking scene isn't more appreciated by Who fandom in general as it allows for character depth away from the rather simplistic "man who does good in the universe" rhetoric the programme can fall into. (It's called drama, basically). The Doctor's move towards a kinder, more caring persona is as a direct result of his exposure to the humanity of Ian and Barbara, and the interplay and chemistry between the four leads is electric right from the start. Perhaps the only thing that detracts from this very good three-parter and makes it underappreciated is the fact that it's presaged by the very first episode, set in the present day, which is absolutely superb and overshadows nearly everything that followed, not just this story alone. An absolutely essential story in the Hartnell era, with arguably Jacqueline Hill's finest performance and a genuine conflict on the perils of changing time. Considering the nature of the original series then Doctor Who rarely dealt with time travel and its implications to any great degree... but here the Doctor argues with a companion who wants to change events for the greater good. It's a classic story, with plotlines and subtexts that have lasted throughout the series' history, even being directly recalled in the new version of the series. Memorable dialogue includes "but you can't rewrite history - not one line!" and all save Susan are given challenging roles, with relatable motives. There's even a romance subplot for the Doctor, which is one of the sweetest things the series ever did. The music can veer towards repetitive, and the sets are notably on a budget, but this is first-rate Doctor Who. Perhaps appropriately, it was the first Hartnell story to be released on DVD, back in 2002. 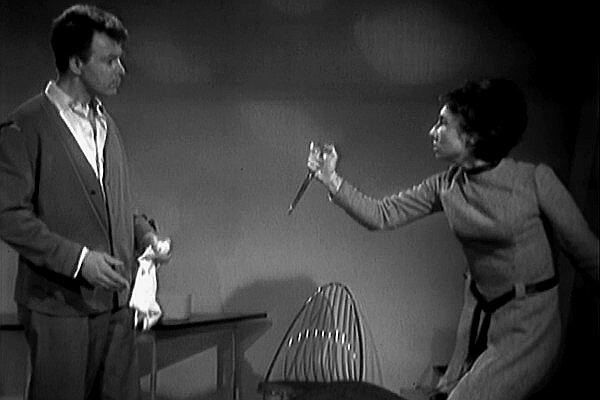 It featured a traditional commentary track where the cast and crew (in this case, Carole Ann Ford, William Russell and Verity Lambert) sat down and discussed the serial. Unfortunately, with a combined age of over 206, the commentators were very much of a different generation not used to such things, and consequently they began falling into the trap of watching the programme and forgetting to speak. While this was, in its own way, very natural and charming, it's notable that from the second Hartnell release onwards - The Dalek Invasion of Earth - moderators were employed to help nudge things along. While this was generally fans of the show, such as Toby Hadoke, Clayton Hickman and Gary Russell, occasionally Peter Purves acted as moderator, even for stories in which he did not appear, such as The Space Museum. Overall, while having a moderator makes the conversation slightly more "artificial" by its very nature, it was, perhaps, a "necessary evil"... much like the decisions that Barbara has to take in this outstanding story. Rarely has the sheer wonder of time travel been as well told as in this superb script. A witty tale that proves all you really need is a great director to get past financial limitations (Douglas Camfield shot it all under budget in a studio for just £7,157) and some strong guest stars. Continuing the theme of the Hartnell era featuring grey areas, then the rival Time Lord in this story isn't "evil", but just meddling with time for kicks. The chemistry between the Monk (Peter Butterworth) and William Hartnell is tremendous, and the story acts as a perfect companion to The Aztecs, giving a fresh reflection on the consequences of interfering with time. 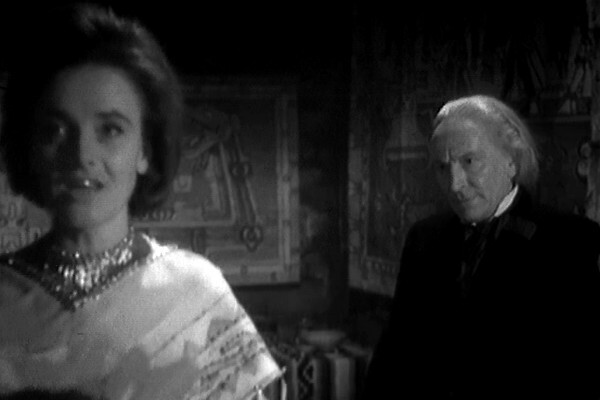 While Hartnell's role had increased throughout the first two seasons and become more dominant, this first post-Ian and Barbara story marks the first real instance of the Doctor as the central figure, the companions as support. Even with Hartnell on holiday in episode two, it's still very much a shifting of the basic format, whereby the companions and their relationship with the Doctor would be less of a focal point. 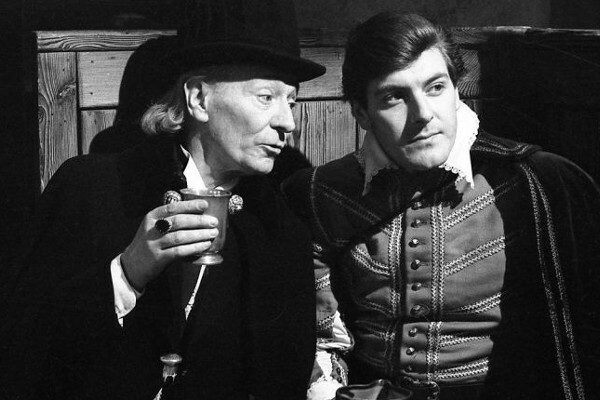 This is not to suggest that the rest of the Hartnell companions weren't also strong characters in their own right, but later companions, despite their plusses and appeals, had less developed roles than the two school teachers who opened the very first episode. Barbara screamed, but she wasn't a screamer, and the over-cited criticism that the role of companion was two dimensional came more from underdeveloped, sexist characterisations like Jo Grant.